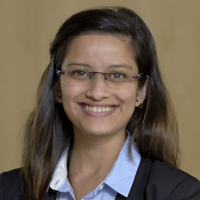 Devaki is a current Full-time MBA student at Frankfurt School. Many companies have started talking about the Total Reward Trends such as EVP (Employee Value Proposition), Flexibility, Health and Wellness, Communication & Differentiation in order to drive organizational success. EVP means what the company expects from the employees with regards to performance and engagement. Employers focus more on the value offered to employees in their work experience, improved employee engagement, open and transparent culture, differentiation of top talent with incentives etc. Having said that all, the real question of what to expect was still there. Large companies usually have good sources of market pay data, and a budget for how much they are willing to pay for a certain job. In Germany, the base salary depends upon many factors. The previous job experience, industry, complexity of the company and role, job description can be considered as the main determining factors of the base salary. Still, there may be some room for negotiation- just use it! Jobs with managerial responsibilities generally pay more in Germany. Be willing to change companies, because often new hires get paid more than the existing loyal employees. Don’t forget that the environmental rewards that don’t show up in our bank accounts such as networking or growth opportunities make us more marketable. In order to get a practical idea about the salary expectation search websites like Glassdoor, salary.com. or get in touch with the Career Services team. Just to give a clear hint that MBA’s get paid more than Bachelor’s and Master’s but again, it totally depends upon the industry and the kind of job. According to the analysis shown to us, the average graduate staring salaries for Master excluding MBA fall in between 42000 and 50000 Euro. Here comes the interesting part.. For MBA’s the average salary lies in between 45000 and 55000 Euro. For the trainee programs in Germany graduate starting salaries differ from industry to industry. Based on the surveys shown as well, Financial service industry offers average 52500 Euro whereas manufacturing, insurance, automotive, consumer goods industries offer average salary range from 47000-49500 Euro. I am reiterating the fact that these are just the ballpark figures. It all depends upon the personal skills, past experience, value adds, industry and job description. There are some good examples of people who got higher offers than their expectations. For the people who don’t have any work experience in Germany including me, came up a good suggestion during the discussion that strategically keeping the expectations low in the beginning just to enter the job market would help in the long run to build a great career. So as the bottom line let’s keep on trying and negotiating and not lose hopes! !